ALL OF OUR BOARDING PRICES INCLUDE FEEDING & CLEANING; WE ARE A FULL CARE FACILITY! We will even give your horse the supplements that you supply for no extra charge, or we can supply the supplements for an extra charge. We have a Convenient Tack Store on site that carries everything that you would need including supplements; if you want something that we don’t carry, we can get it for you. This is truly a horse person’s paradise! Overnight Boarding is available for the person traveling with horses! If you're traveling with your horses and have an RV, we have space available to park overnight. If you need a Motel/Hotel they are only 10 minutes or less away. We Recommend the Sleep Inn, Evansville Wyoming. It is the closest to us and offers special prices to our guests, and has plenty of room to park your horse trailer if you don't want to disconnect.
" We had a great trip the rest of the way to Dickinson, ND. We really appreciated and enjoyed leaving our horses with you. I will gladly recommend you to anyone! Thanks again for your great help when we loaded too!! " 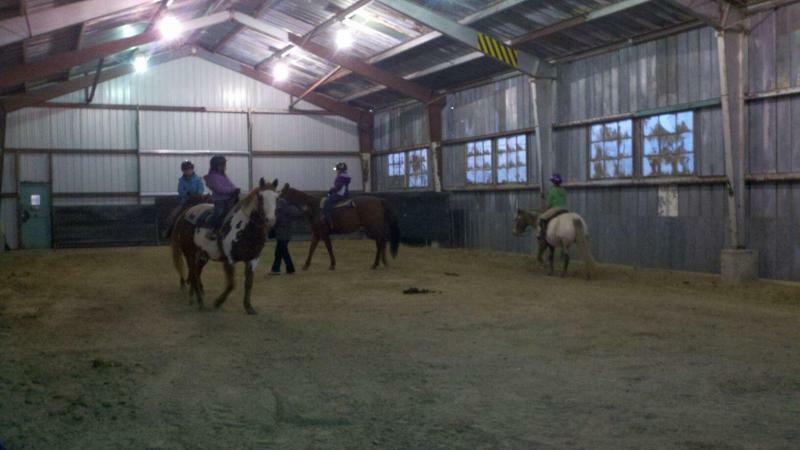 "So love Platte Ridge Equestrian Centre. Since Udex has been there he's gained so much weight, calmed down, and is treated like a king. We've never seen him happier. Stephanie, the owner of the barn, is so knowledgeable and helpful. I know that if something was to happen to our UDEX Stephanie would be there to help him. Being in a hotel we have to do "Laundry day." Today we went in our Pajamas, No one was judgmental by any means. Even though we are buying our own horse property we've decided to make UDEX a permanent Platte Ridge resident. Words can't describe how great this place is because of Stephanie, Jim and Sue. We're so happy with Platte Ridge Equestrian Center."